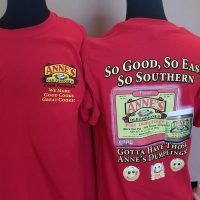 We’ve not only got recipes for you, like Easy Chicken and Dumplings, and Maridell West’s Fruit Cobbler (using our pastry strips, of course), you can also watch videos of Anne cook up some of her favorite dishes including Hamburger Scramble with Dumplings, and So Good Dip (using “The One” Sauce). 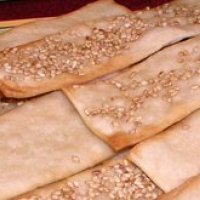 For even more recipes, check out Anne’s cookbook, Dumplings ‘N More. Order one, and we’ll send you a copy signed by Anne herself! 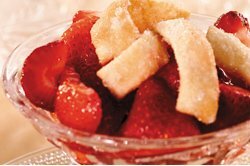 See Anne's favorite recipes, and print your own! 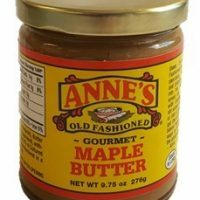 Love Anne's recipes? 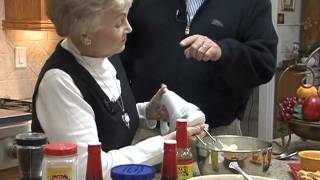 Cook them right along with her in her famous "Cookin' With Anne" webisodes! 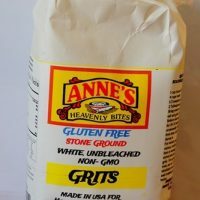 Have you got a favorite recipe that uses Anne's Food Products? Tell us about it!